What are the Best Resident Evil Games? Have we really been blasting apart zombies and surviving a myriad of over-sized animals and bioweapons for over two decades? You might not believe it, but it’s true: Resident Evil was first released twenty-three years ago and with the recent release of Resident Evil 2 Remake, it doesn’t seem to be going anywhere anytime soon. If that makes you feel old, then you’re in good company as more than a few of us here at Goomba Stomp are old enough to have actually played the original all the way back in 1996 and we’re here to remind everyone what made these games great (or not so great) to begin with, where they succeeded and where they failed. Welcome back to Racoon City folks; here is the second half of our list of the best Resident Evil games to date. 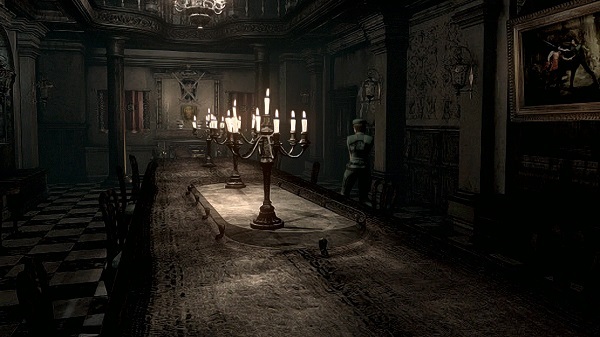 There is no doubt of the original Resident Evil’s impact on the gaming industry as a whole, but the fact of the matter is, time hasn’t been kind to Spencer Mansion and its inhabitants. Released at a time when 3D gaming was still in its infancy, these days the PlayStation classic can simply be described as ugly and unappealing to those who didn’t play it two decades ago. Thankfully, Capcom remade the game for Nintendo’s GameCube; dubbed the “REmake” by fans, not only was Capcom successful in bringing Resident Evil to a new generation, but they also created the gold standard for all video game remakes going forward. Upon its release, the REmake was a technical marvel, and to this day it’s a feast for the eyes. Each corner of the mansion looks phenomenal, and enemies are genuinely grotesque. Utilizing the GameCube’s hardware, Capcom was able to add fantastic lighting effects, which drastically bolstered the game’s ominous tone, and improved upon the already phenomenal atmosphere. Other minor additions, like enhanced shadows, environmental effects, and improved audio all successfully deepen player immersion while significantly upping the tension. None of the additions or changes harm the creators’ original vision, but instead, serve to enhance it. 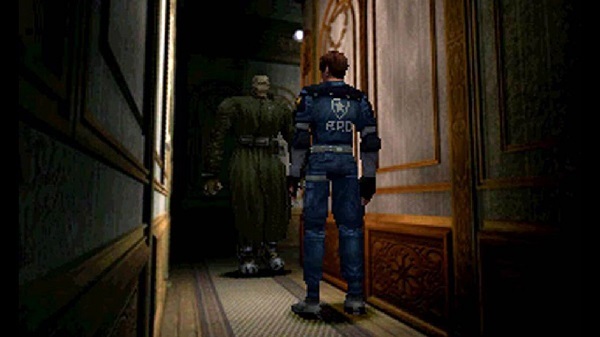 When Resident Evil debuted in 1996, it helped popularize the survival horror genre and ushered in a golden age of survival horror video games known for their slow-pace, heavy exploration, and brooding atmosphere. 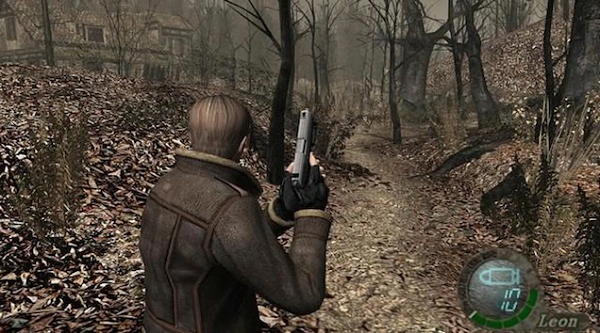 A decade later, Resident Evil 4 shifted directions with a third-person shooter approach, fewer puzzles and a greater emphasis on gunplay and weapons upgrading. Both the original Resident Evil and Resident Evil 4 have arguably been the two biggest highlights of the series, and no other game in the franchise came close to the greatness of those two titles until RE7 was released in 2017. The seventh entry in the series, Resident Evil 7: Biohazard swerves in its own new direction by taking the best parts of the series (a measured pace and focus on exploration) and adding a new first-person perspective. Fear is palpable everywhere and just about everything in this game can make a player jump. It immerses you like no Resident Evil before it and all of this is captured with gorgeous (or grotesque) visuals and incredible sound design which rivals the best work ever done in video games. If we’re talking the older style, survival-horror roots of the Resident Evil franchise, you won’t find a single game in the series that can match Resident Evil 2. RE2 is still considered by some to be the best game to ever bear the Resident Evil name and regularly finds itself in the top 5 survival-horror games of all time. It’s not hard to see why the game made such a big splash as it improves upon the original in nearly every conceivable way imaginable. The main thing worth noting is just how different its campaign is depending on who you select at the beginning. Claire and Leon take radically different routes to the end game, even meeting and interacting with completely different characters from one another, and battling alternate bosses to boot. If the original RE2 was a perfect sequel, the new Resident Evil 2 is a prime example of how to remake a classic while staying faithful to the original. While the word “Remake” doesn’t appear in the title, Resident Evil 2 (2019) is, in fact, a remake of the PS1 original. Capcom built the game from the ground up, changing a few things here and there, and for the most part those changes have improved what was already a great game. Much of the critical acclaim has centered on RE2’s gameplay and thick atmosphere, and much like Resident Evil 7, Capcom has made a game that is visually stunning throughout. Resident Evil 2 has just the right amount of retro appeal, capturing the spirit of the original without being bound by it. There are no longer any loading screen doors, and Claire and Leon no longer move like tanks thanks to a new claustrophobic, over-the-shoulder, third-person perspective that helps elevate the action and opens up new possibilities for the series’ classic puzzle-solving. Resident Evil 2’s controls are incredibly intuitive, and while the classic static angles may be missed by fans of the original, I’d argue that the new camera system actually heightens the tension. By allowing the player to have more control of what they see, more often than not a player will unintentionally put themselves in danger. For those who enjoy tight, tense, graphic horror, this game offers an ample helping, something that might not have been possible without such a major overhaul. Capcom’s new Resident Evil 2 — which was released twenty-one years after the PlayStation original — is everything one can hope from a video game remake. It preserves enough of the source material to feel like a respectful tribute, yet changes just enough to warrant its existence. This is one of the best horror games ever made — and proof that cannibalizing old material sometimes works fiendishly well. While I have fond memories of the original game, RE2 (2019) is smarter, tighter, and far scarier — start to finish. It’s a masterclass in environmental design, sound design, level design, and atmosphere. All of that and more makes Resident Evil 2 one of the best remakes — er, ‘re-envisionings’ — of a horror classic (game or otherwise). Series creator Shinji Mikami reinvented the wheel with the fourth installment of Capcom’s pivotal survival horror series. The over-the-shoulder third-person aiming system reinvigorated the genre and the innovative quick time events added an extra layer of suspense to the proceedings. Coupled with gorgeous cinematics – a vast, upgradeable arsenal – some of the most memorable boss fights in any game and an oppressive atmosphere – it’s easy to see why Resident Evil 4 is usually cited as the best entry in the series.